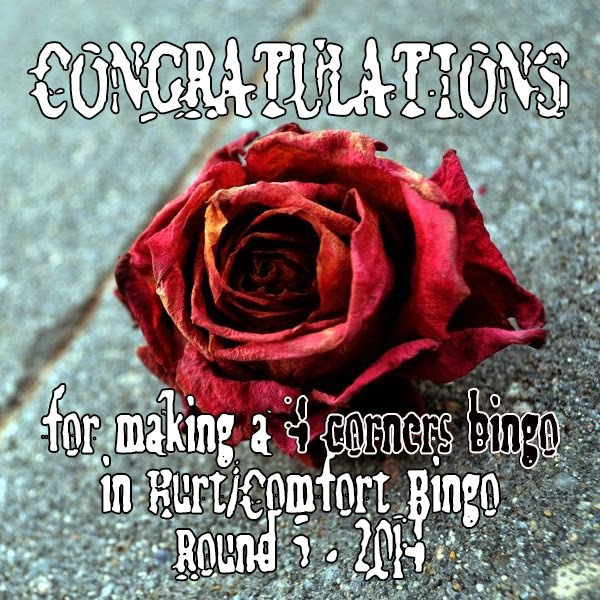 Hurt Comfort Bingo round 5 - winnings!!!!! 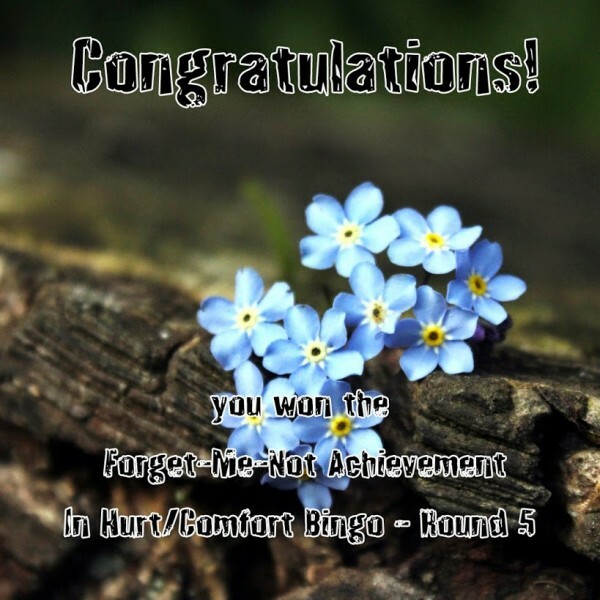 So, round 5 of hc_bingo is over and they've posted the achievements awards results. Look!! Look at my monty haul of banners!!!! \o/ I've posted these to my profile, but was so pleased with them I wanted to do a squee post as well. Why the hell haven't I been playing hc_bingo for years???!! It's great! And clearly suits my type of fic and graphics down to the ground, lol. Also, I have to admit I did get a wee bit competitive with this bingo in a way that I haven't so much with other bingos in the past, so right from the start I was deliberately targeting some of the achievements. 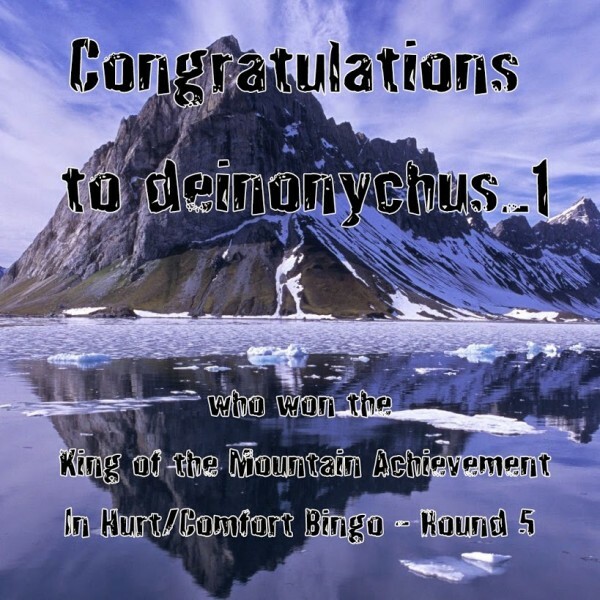 But getting King of the Mountain was an unexpected bonus. So what did I win in round 5? The rest are all either general or loyalty achievements, and therefore multiple people can 'win' these simply by completing stuff. All the Worlds - all fills in a bingo are in different fandoms. Yeah, *this* was the reason why I had to write Casualty fic last year! 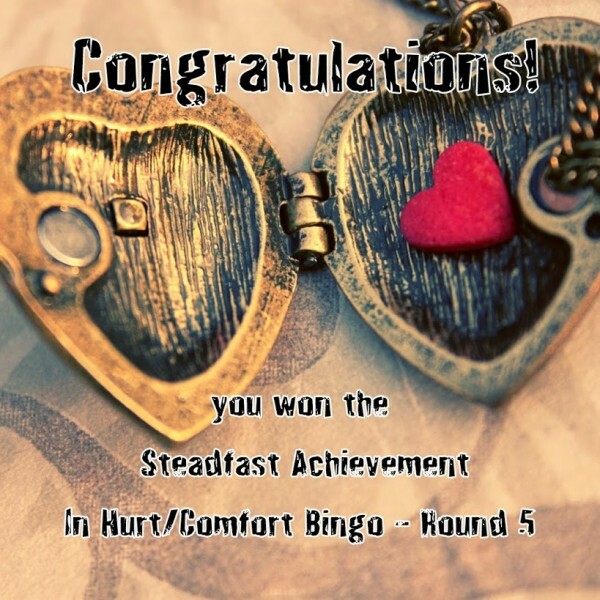 Steadfast - all fills in a bingo are in the same fandom. Thank you Atlantis. Forget me not - posted at least once during amnesty. Ha! 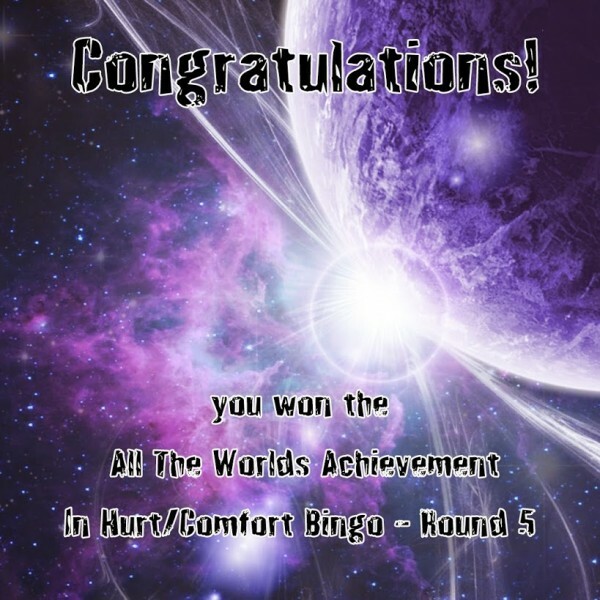 fififolle laughed at me for getting a bingo card at the very last minute of round 4, knowing that I could only post in amnesty and therefore get *no* points. But look - it got me a banner! 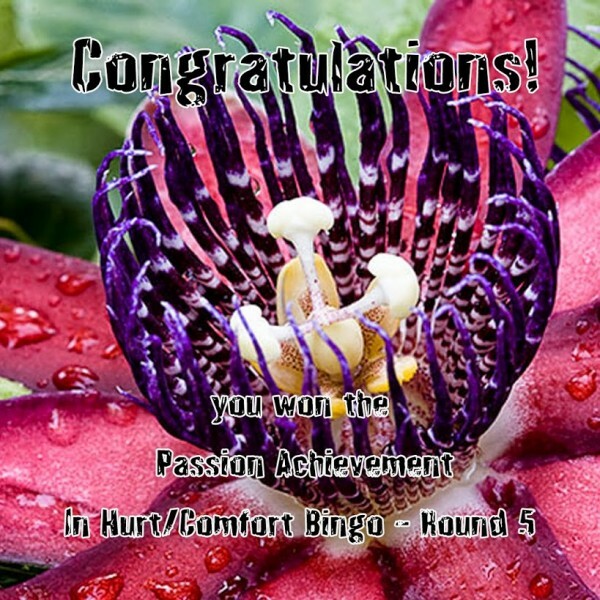 Passion - completed at least one mini-challenge. There were four mini challenges, I actually did two. I failed at a third and didn't even try for the other one. Might have to see if I can do all four this time. Bingos - does what it says on the tin, really. Bloody hell!! 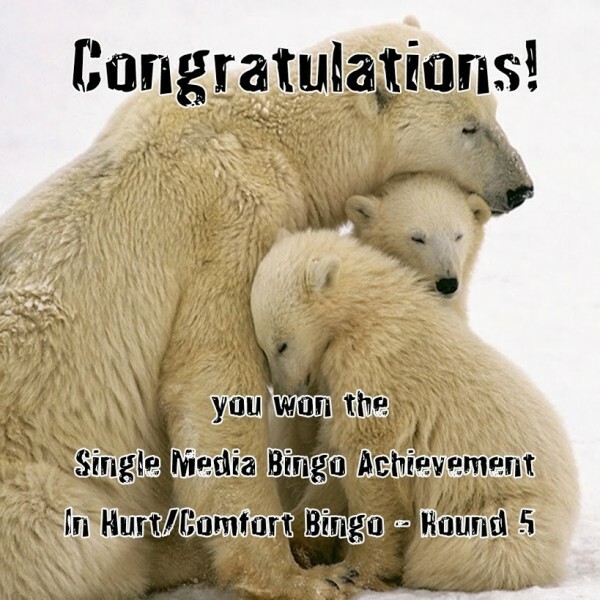 Look at you, King of the Hurt/Comfort Mountain! That's freakin' awesome :D How totally wonderful. And they even give out a banner for posting during amnesty?? Now that's something. Lol! I know! I was deliberately aiming for the content based achievements, but never expected to win one of the competitive ones as well! But Celeste is just as bad! Hee, thanks! 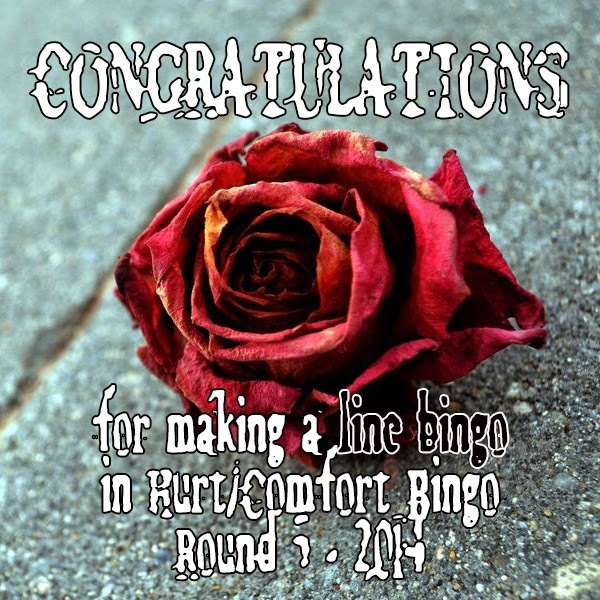 It was nice to win something after I'd had so much fun with the bingo card. Congrats on the huge haul! That is a decent set of incentives. *g* Did King of the Mountain come with a pretty polka dot jersey? Lol! I have to admit I was being far more competitive than I usually am with this one. Right from the start I was planning out which squares I could use to get the various achievements and such. King of the Mountain was an unexpected bonus.